Ultrasonic elliptical vibration-assisted milling methods have recently attracted attention since they can be applied to difficult-to-cut materials. 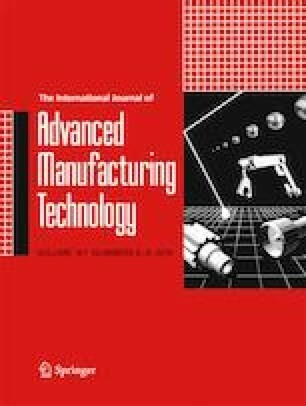 In this study, the effects of rotary ultrasonic elliptical machining parameters for side milling on Ti-6Al-4V titanium alloy machined surface integrity were investigated and compared with conventional machining for side milling. To determine the effects of rotary ultrasonic elliptical machining for side milling, roughness, topography, residual stress, microstructure, and microhardness of machined surface and subsurface were examined. Results show that rotary ultrasonic elliptical machining for side milling significantly improves the integrity of machined surfaces as a result of induced compressive residual stress, more pronounced plastic deformation, and work hardening of the machined surface. It was found that higher cutting speeds of up to 120 m/min and lower feed rates of approximately 0.02 mm/z achieve higher compressive residual stresses on the surface (− 221.21 MPa vs. 2.82 MPa), greater plastic deformation below the surface (up to 40 μm vs. less than 20 μm), and moderate surface work hardening (HV 425.85 vs. HV 414) using rotary ultrasonic elliptical machining for side milling compared to conventional machining for side milling. Finally, in relation to surface roughness (Ra), rotary ultrasonic elliptical machining for side milling was found to cause a slight deterioration of surface characteristics. The results of this study provide a better understanding of rotary ultrasonic elliptical machining for side milling of titanium alloy Ti-6Al-4V. This work was supported by the National Natural Science Foundation of China [grant numbers 51290292, 51475029, and 51475031] and the Fundamental Research Funds of Chengdu Aircraft industrial (Group) Co., Ltd.